We’ve helped a number of organizations to build total tailored platforms to fit their financial products — equity, debt and loan functionalities. Orca is a team of P2P lending specialists. The most efficient way to access the attractive returns of P2P without the hassle of selecting platforms or borrowers. CrowdLords are an equity and debt based crowdfunding platform for the UK residential property market. Directly connecting LandLords and Developers with Investors. With our help, Triodos Bank has raised £152,750,000 to fund 63 impact projects for 40 organisations. We’ve been really impressed with the team at ShareIn. They’ve been flexible and responsive in meeting our requirements and tailoring their product. As our needs and the market change, we are confident they can continue to grow with us. Energise Africa, by Lendahand and Ethex. 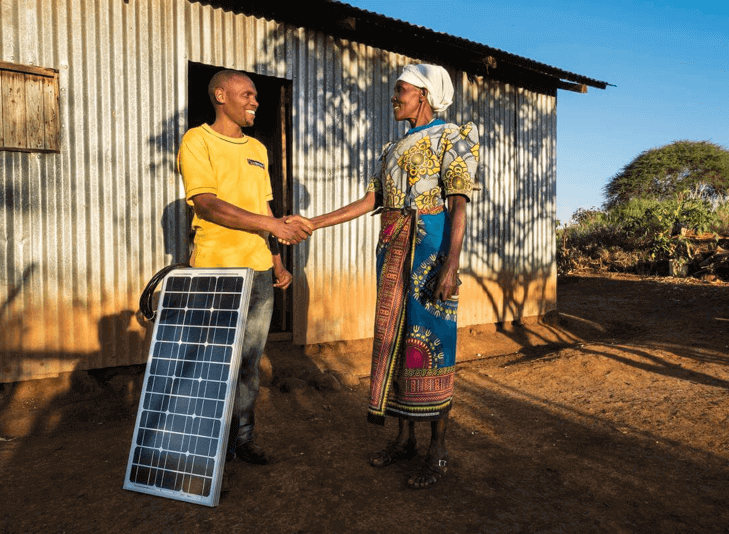 Your involvement has helped to ensure that lots of individual impact investors have had a positive and engaging experience as they look to make direct investments in solar businesses that support the roll-out of life-changing solar systems to families across Sub-Saharan Africa. Ethex and Lendahand have joined forces to provide UK based retail Investors with Investment opportunities which will significantly improve off grid energy access for families in Sub Saharan Africa. Triodos have been connecting investors directly with positive organisations for over 15 years. Triodos launched their own crowdfunding platform to make it easier for their community of investors to find social investment opportunities. Equity and debt based property crowdfunding platform that matches smart property professionals to smart investors. The team is led by Atuksha Poonwassie who is a Director of the UK CFA. igloo CROWD bring over 70 years collective experience in property to their crowdfunding platform. Their approach is ethical and certified Sharia Compliant. Bond platform offering Super bonds, Direct bonds and Inheritance Tax and property relief products. Propifi was specifically set up to answer to the demand for bridging finance in the UK, and to satisfy the increasing appetite for P2P property finance in the face of stagnating traditional lending channels. Invest in litigation cases with potential return of 20-40% per annum. We find and fund emerging British ventures at the cutting-edge of business, science and technology. Put your money to work whilst helping shape the economy of tomorrow. P1 Capital Partners is a boutique asset-management group focusing on investments secured on UK property. LEOPropertyCrowd brings together Investors/Savers with Developers and Landlords via a crowdfunding platform. It is as disruptive as it is revolutionising. The CAM Crowd is brought to you by Cadogan Asset Management, an FCA Regulated company based in London. The business invests in a balanced portfolio of lower and higher yielding investments. Heritage Financial Holdings has ensured that businesses chosen for investment funding as part of its Bond Offers include a blend of both young and booming industry sectors and more traditional “anchor” investments. Land Club is a regulated Crowdfunding platform that gives you the opportunity to invest in strategic land in a protected and secure way. Property development equity finance crowd funding platform. DP Crowd offers investors researched, viable investment opportunities that aim to provide more competitive returns than many other alternatives in the market. Armstrong Energy are an investment firm that manages energy assets for high net worth investors and family offices to deliver predictable, tax efficient returns. EC-OG has secured an exciting new joint research project working in collaboration with a global industrial partner in which we will deliver Internet capability to the seabed. Wales-based Riversimple, a pioneering hydrogen fuel cell car company, launched an equity crowdfunding campaign to match a €2M EU grant. Blume has developed a range of ultra efficient, long lasting lightbulbs that can be fully upgraded and remanufactured. They are crowdfunding to take the bulbs to market by raising £330,000 of equity in their company. Hochanda is the newest and fastest growing Craft, Hobbies and Art’s TV Shopping channel in the UK today. They have launched an equity crowdfunding campaign to continue to grow and establish Hochanda as an international brand. Hibernian FC kicked off their new share issues campaign to provide supporters the opportunity to own up to 51% of shares in the club. This is the first time a football club has enabled fans to buy shares directly on their Club’s own website. Supporters Direct’s platform enables communities across the UK to raise capital for projects around their football clubs, which could include ownership. Community Interest Company Blipfuture successfully raised over £120,000 through equity crowdfunding to become the new owners of the photo sharing social network, Blipfoto. King’s College London spin-out Reminova successfully raised funds on their website from UK, EU, and US investors. This is the first time a company has run an equity crowdfunding campaign directly from their own website in the UK and US simultaneously. At Crowd with Us they are crowding together with people just like you to build the largest crowd funded property portfolio in London. Easy as 123 set up to be a new kind of total digital bookkeeping solution for the UK’s 4.1 million sole traders and 1.6 million small to medium-sized enterprises (SMEs). At Miigen we are reconnecting families to the early lives of their Parents and Grandparents Our older adults have a wealth of knowledge and stories stored in shoeboxes in attics across the world. Miigen captures this information and personalises it for you and your family as a digital time capsule.